We at I Tech Zone are a professional AngularJS web and mobile app development company commended for delivering best-in-class IT solutions with the strong open source development framework. We have a strong experience track record of providing end to end applications that are highly secure and effortless to maintain. Further, our development team selects to broaden its development territory in AngularJS web & mobile app development sphere and has crossed all the quality milestones by achieving the client’s expectations every time by providing the precise AngularJS development services. 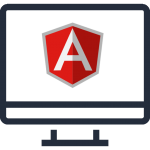 Being an outstanding AngularJS development company, we truly comprehend the complete stack of JS technologies. Thus, by using our key understanding and practice of web and mobile development, we offer most reliable AngularJS development services. We have done projects to create and deploy well-structured AngularJS applications for small, medium and large-sized enterprises. Moreover, applications developed using AngularJS has the easy to use interface that empowers users and assists in increasing the overall business prospects. With the growing demand for interactive applications, every enterprise company desires to have scalable and robust solutions. Here, as a reliable AngularJS development service provider, we aspire to offer full control of the finishing solution that is in fulfillment with JS markups, making sure simple adaptability. Further, with the aptitude to create supple and high-tech solutions, our core team of AngularJS developers also works smartly to avoid complications in the further user interface as well as development. We deliver customized solutions with proficiency in robust AngularJS framework delivering the projects as per the business requirements.